Dutch designer Robert van Embricqs has created the Rising Table, which follows the Rising Chair that we featured on contemporist last year. 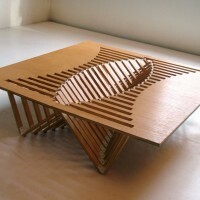 The Rising Table concept is part of the Rising…furniture formula that finds its roots in the Rising Chair. This means that once again, the origins of this design can be traced back to the rather simple idea of starting with a flat surface that is capable of transforming into a piece of stylishly designed furniture. In designing the Rising Table, I felt it was of paramount importance that the source materials both dictated and guided the ultimate design, while ensuring practical appliance and usability. During the design process, I made a point of sticking as close to nature as possible. 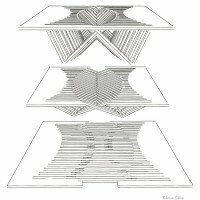 Using natural design concepts for inspiration, I studied the various ways in which transformations take place in nature without the cumbersome involvement of man. 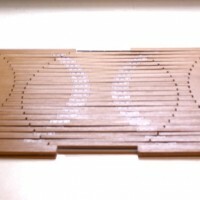 This inspired the incision pattern in the flat surface of the wood that resulted into the creation of a latticework of ‘woven’ wooden beams that make up the center of the table. 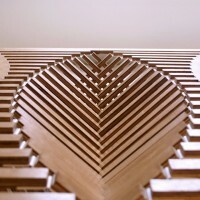 By emphasing nature’s logic, a seemingly random collection of wooden beams organically merges to form the figuratively beating heart of the Rising Table. A conscious choice for functionality in design, doesn’t necessarily mean one has to be burdened by conformity, let alone predictability. 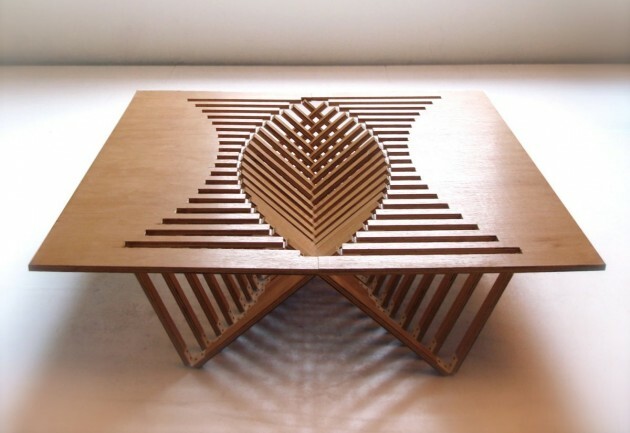 The Rising Table ignores the cliched notion that a table is little more than a flat surface that is held up by four separate legs. 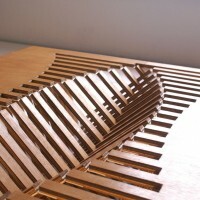 The result is a surprising mixture of fluid design that blends the multifaceted tabletop with the latticework of wooden beams that function as the center of the construct. From there, the table sprouts four wooden beams that hold up the entire construct. 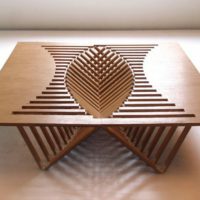 Not only does this design approach rid itself of every single predictable feature when one imagines a table, it also emphasizes that the Rising Table is indeed made from a single piece of wood. This proves the Rising Table isn’t merely an eye catcher when it comes to design, it can also hold its own as a functional piece of furniture, albeit with a twist. 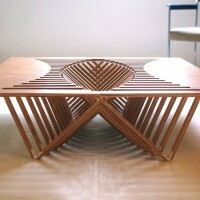 Sidenote: the applied construction techniques to create both the Rising Chair and the Rising Table, emphasize on its relative applicable ease for production on a mass scale.